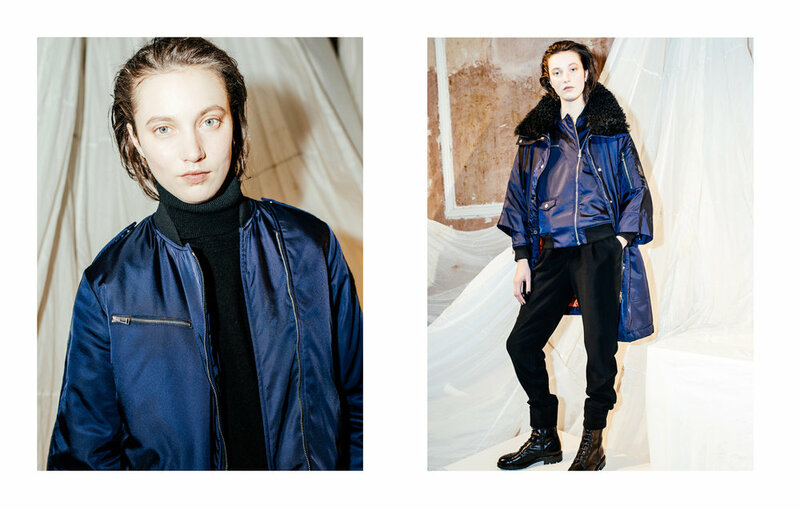 Inspired by legendary female explorers such as Amelia Earhart; the Belstaff explorer is protected from the elements by natural fibres and fabrics. Draped in fur, shearling, woven wool, mohair and leather. Enclosed within four dishevelled walls, within which a maze of parachutes fell from the ceiling.